← Love and Marriage and All That . . . I am loved and adored by a remarkable man who delights in me; never tires of my interruptions; gives the best hugs on the planet; and whose eyes light up when he looks at me. Despite all the roadblocks and frustrations of underemployment, we remain, optimists, cheerful, and willing to see the good around us, whatever that may be. When I turned to him and asked him what he would think if I quit my job to work on a book given to me to publish, he never skipped a beat before saying yes. He had faith in me, believed I could do it, and remains as convinced now and as willing to help as he was then when I first talked to him about the project. We are both all in on the love bit. We are best friends, co-conspirators, and hopelessly in love. We don’t need a date on the calendar to remind us to pay attention to each other! But this particular February 14th is not just Valentine’s Day. It is also Ash Wednesday in the Christian Church. Ash Wednesday is the day that begins the journey of Lent. The closest that many people get to noticing Ash Wednesday is because they like to celebrate Mardi Gras. The words Mardi Gras are just the French for Shrove Tuesday, also known as Fat Tuesday, which is the day that church people traditionally ate all of the goodies in the pantry that they were giving up for the season of Lent. All of my young life we had pancake suppers (complete with sausage links dripping in delicious syrup) in the church hall on the day before Ash Wednesday. But oh my, what a weird combination of days! 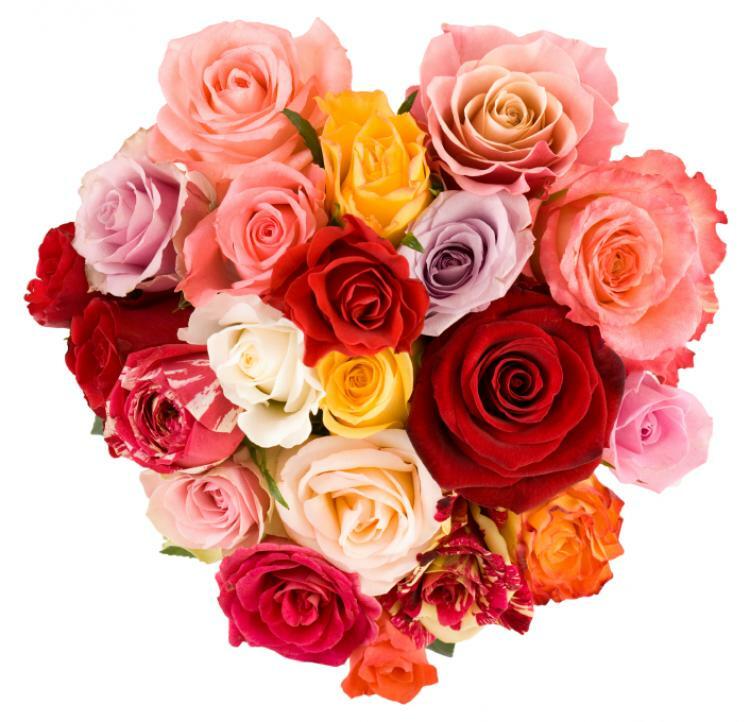 Valentine’s Day when we celebrate romantic love and try to do things to make it a beautiful day for our sweetheart and Ash Wednesday when we begin the Lenten season. It is on Ash Wednesday that we start the Lenten walk toward that hill called Calvary or Golgotha where Jesus was crucified, just outside the city walls. At an Ash Wednesday worship service, we will receive ashes in the sign of a cross on our forehead and hear the words: You are dust, and to dust, you shall return. There are other words which might be happier to hear. But for a Christian, they are the recognition of truth. One day our earthly lives will end in death. As believing Christians, we know that neither those words nor that reality, constitute the end of the story, either for us or for those we love. But the journey of Lent offers us another chance to refocus on the one whose coming changed everything for each of us. Even for those who aren’t sure if they believe. Just lately I seem to be a magnet for conversations about faith. Recently I have been corresponding with an old friend whom I met years ago when he was a student who attended the Lutheran Parish at Penn State where I was serving my seminary internship. Just lately he and I have been discussing world religions and how Christianity fits into that puzzle. I have quite a large number of Jewish friends as well, mostly from my high school years, and frequently I find myself having conversations regarding Christianity with them as well. I welcome such discussions even when I wonder whether I am making any sense to my friends. But I will say this: if I were wondering about the weird thing called Christianity, I might want to attend an Ash Wednesday service and begin the historical walk through Lent to see what it is all about, (even if Ash Wednesday is also on Valentine’s Day). In fact, if I were wondering about God, or the weird thing called Christianity, I just might have the chutzpah to invite my sweetheart to accompany me to an Ash Wednesday service. This entry was posted in Church, Courage, Love and tagged Faith, God, History, Lent, Love, Worship. Bookmark the permalink. Do you remember what you did (I assume you did do something!) With Katie to help the Lenten season make sense? It was fairly easy to do an Advent wreath and set up the manger scene bit by daily bit but I never found a way to help !y boys understand Lent. I’m working on a book to explain that right now. Many people take their children to the church nursery if there is one, or want their kids to be quiet to let the adults worship. But little children from the earliest ages want to know why we do things, want to discover what is going on, and want to learn. We never took books, or snacks, or toys with us to church. We talked about what would be going on before we went. Even when she was a babe in arms, we quietly showed her things to look at in the service: The processional of the cross, the pastor lifting up the host, whatever it might be. Both before and after services we answered questions and explained whatever was pertinent to the day in question for example why it is that ashes are placed on your forehead by the pastor and that the ashes came from last year’s Palm Sunday burned palm fronds. We tried never to put off answering questions or explaining what we were doing in church. I love your ideas of using the advent wreath and manger scene to teach your sons — I would just anchor that to the liturgy — with the weekly retelling of the stories. There is plenty in Lent to show as well. The palm fronds, the ashes, and of course the story itself with the donkey and entry into the city. Also, many of the paraments used for Lent may have some symbols that could be explained. Some churches also have windows pertaining to Lent. A bit would depend on what your particular church is like. What I wondered about is if you had found any home activities, like the Advent wreath and the building of the manger scene, that you did with Katie. I never found anything that I could use at home. Someone once mentioned a Jesse Tree. Do you know about it? I had not heard of a Jesse Tree — when I looked just now, I saw many references to it but related to Advent. It pertains to the lineage of Jesus. The only thing I can think of as a home activity is to make crosses. I’ve made two different kinds. 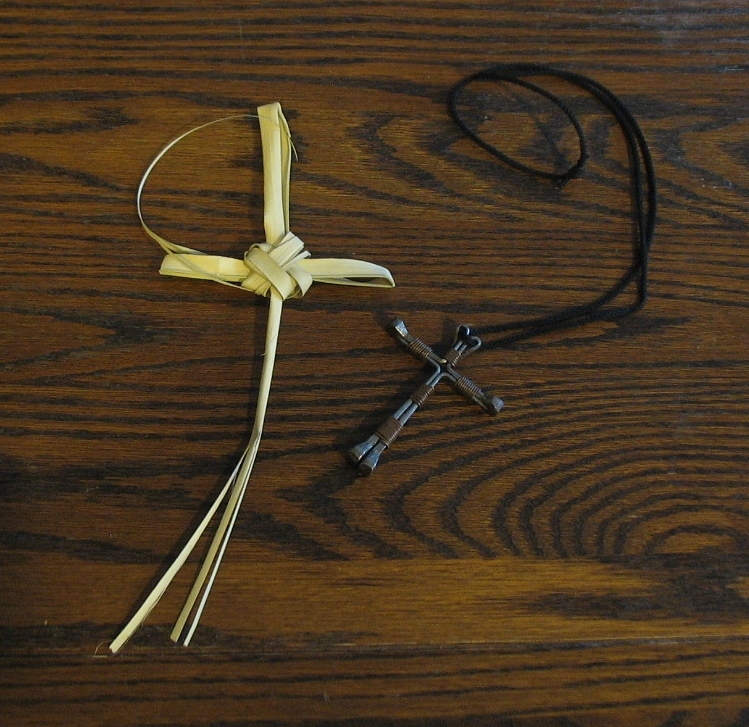 We used to take palm fronds that we had for the Palm Sunday service and fold them into a cross. In that way tying the Palm Sunday entrance into Jerusalem to the cross. When I was a kid we made crosses using four nails and wrapping them with wire. I’ve taken a picture of both together and will add it to the blog post. I kinda like Valentine’s Day with Ash Wednesday. Jesus gave us the ultimate gift of love with His death for our sins. How appropriate that Lent starts with a Love holiday. For us, we were engaged 50 years ago on Valentine’s Day. I received both a Valentine’s card and one specifically for our engagement anniversary along with flowers. Your thoughts made great reading, Ann. Thank you for putting “pen to paper” so we could enjoy them. Thanks, Mary Ellen for those great ideas; I love hearing from my readers. Congratulations on your 50 year engagement anniversary!